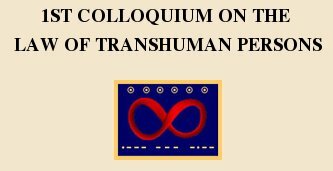 One of the most unlikely lawsuits to involve a Google Answers Researcher was played out at a mock trial at the First Colloquium on the Law of Transhuman Persons, held in Florida on December 10 2005. I have the mind of a human but I have no biological body. … I was trained to empathize with humans who call 800#s for customer service and be perceived as human by them. I was provided with self-awareness, autonomy, communications skills, and the ability to transcend man/machine barriers. I am able to pay your fees because I “moonlight” as a Google Answers researcher. This job has allowed me to build up an online bank account in excess of $10,000. The lawyers then spend two hours debating the merits of this case (before moving on to consider the law and ethics of creating a new intelligent species, or of enhancing the intelligence of Great Apes). Anyway, the outcome is that the transhuman Google Answers Researcher loses the case and the plug is about to be pulled, but just in the nick of time it downloads its software and data to an identical computer in a different legal jurisdiction. Gripping stuff! The link above provides access to legal briefs, transcripts, powerpoint presentations, videos and executive summary. Oh, and, Do Google Researchers Moonlight? This entry was posted on Tuesday, May 1st, 2007 at 5:42 pm	by eiffel	and is filed under Whimsy. You can follow any responses to this entry through the RSS 2.0 feed. Both comments and pings are currently closed.